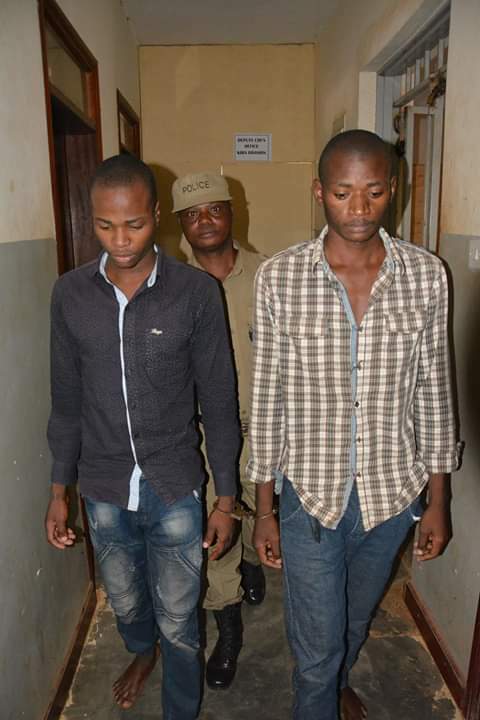 WAKISO– The two suspects accused of killing a city businessman Archie Rwego in Najjera, Kira Municipality in Wakiso District have been remanded to Luzira Upper Prison. The suspects identified as Johnson Kisule alias Mohammed Kisakye Johnny (22), Abdul Luyombo (24) appeared at Kira Magistrate’s Court on Tuesday and were read the charges and remanded till they reappear to take plea. The unknown people who were armed with knives cut through the razor wire, gained access into the home by climbing the wall fence. During the scuffle with attackers, the deceased’s wife made an alarm attracting the attention of the neighbours who rushed to the crime scene. Rwego was later found lying on the ground in a very sorry state, rushed to Najjera Hospital and was pronounced dead upon arrival. Investigations were instituted, messages sent to relevant authorities and equally news about the gruesome murder was also passed through various social media platforms hence leading to the arrest of one John Kisule who was found nursing wounds from a nearby clinic. Kisule had wounds in both hands and scratches on the neck which were suspected to have been acquired through the scuffle with the deceased and the family guard dog. Upon search at his home, a blue jean trouser and a pair of shoes covered with suspected blood stains were recovered. Upon interviewing him he told the police that three men who included himself, Abdul Luyombo and papa who is still at large had entered into the home with the aim of robbing valuable assets. Abdul Luyombo was traced up to Magamaga his grand mother’s place where he had gone into hiding and was ultimately arrested as he headed to Mayuge District with the intention of acquiring lucky charms from a witch doctor. His house was equally searched and a pair of maroon canvas shoes was recovered stained with suspected blood stains. Charges of aggravated robbery contrary to section 285 and 286(2) and murder contrary to sections 188 and 189 of the Penal Code Act were read to them.